Castillo Copper (ASX:CCZ) has today informed the market than an encouraging desktop report from geology consultant, Xplore Resources, has highlighted considerable potential for additional cobalt mineralisation and favourable zones of outcrops across the company’s Broken Hill Project. This prolific NSW region is steadily emerging as a new global supply chain hub, especially given current cobalt sentiment. CCZ’s peers, Cobalt Blue (ASX:COB) and Havilah Resources (ASX:HAV), have confirmed cobalt resources here. 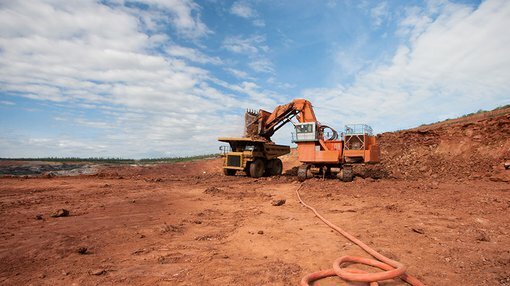 Alloy Resources (ASX:AYR) and Australian Mines (ASX:AUZ) have also recently revealed encouraging exploratory results. Specifically, HAV has reported 193.3Mt at 120 parts per million of cobalt. COB’s Thackaringa resource, on the other hand, contains 54.9Mt at 910 parts per million of cobalt. Previous exploration here has primarily focused on traditional Broken Hill mineral systems – zinc, lead and gold – but with rapidly growing demand for battery grade minerals, the economics are increasingly favourable for cobalt. With the cobalt price sitting at around US$85,000 per tonne, CCZ is keen to fast-track its exploration program to ascertain the full extent of cobalt mineralisation across the tenure, with a core focus on targeting known host mineralised areas. Interestingly, there is also material exploration upside within the tenure, as some 75 per cent is covered in alluvial sand, especially significantly where the outcrop is visible, with legacy assay results indicating the presence of cobalt. To uncover incremental target areas of sulphide-hosted cobalt mineralisation below the alluvial sand, CCZ plans to deploy heliborne electromagnetic geophysical survey technology – this has been successfully utilised by both COB and AUZ. Also beneficial for CCZ is that extracting cobalt from sulphides is proven to be materially simpler and more cost effective than laterites. Importantly, re-opening the Cangai Copper Mine remains CCZ’s primary focus, with the second drilling campaign set to target supergene ore – an update on legacy stockpiles is expected in the near future. Xplore Resources are currently reviewing additional available geophysical survey data, with a further update expected shortly. 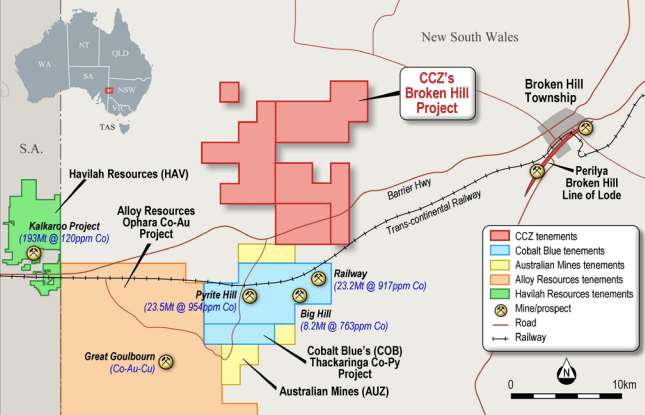 “CCZ believes focusing on reopening the Cangai Copper Mine and concurrently gaining a deeper understanding of the cobalt potential at the Broken Hill asset are key forward value drivers,” added Meagher.